Once Upon A Wedding carries a large selection of beautiful bridesmaid and prom dresses. Belsoie, B2Jasmine and Jasmine bridesmaid dresses are stylish, fun and come is large selection of colours. Choose from various fabrics and textures so all of your ladies feel fabulous on your wedding day. 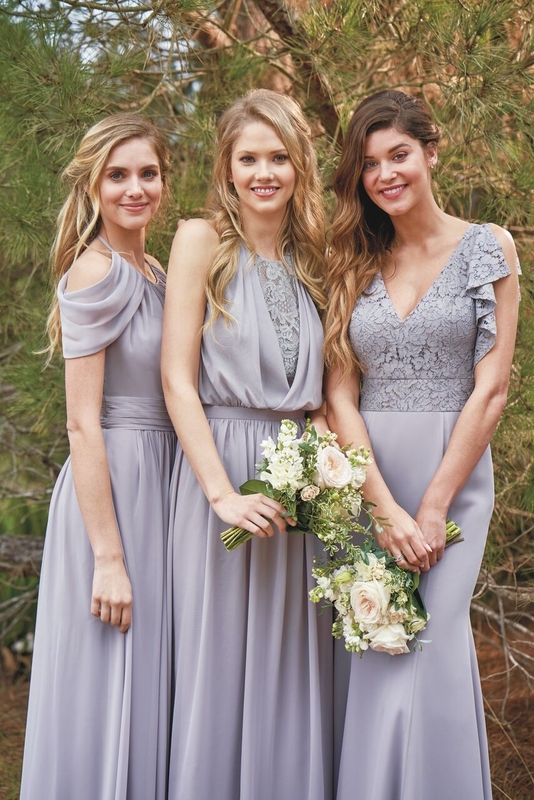 Romantic Maids is a fun and flirty line of bridesmaid dresses and best of all they are reasonably priced you wont feel guilty about asking all of your tribe to stand for you! Available in sizes 2-30 and with over 30 colours to choose from your bridesmaids will shine. Arriving in March, be sure to come in and check out our new collection of bridesmaid dresses.